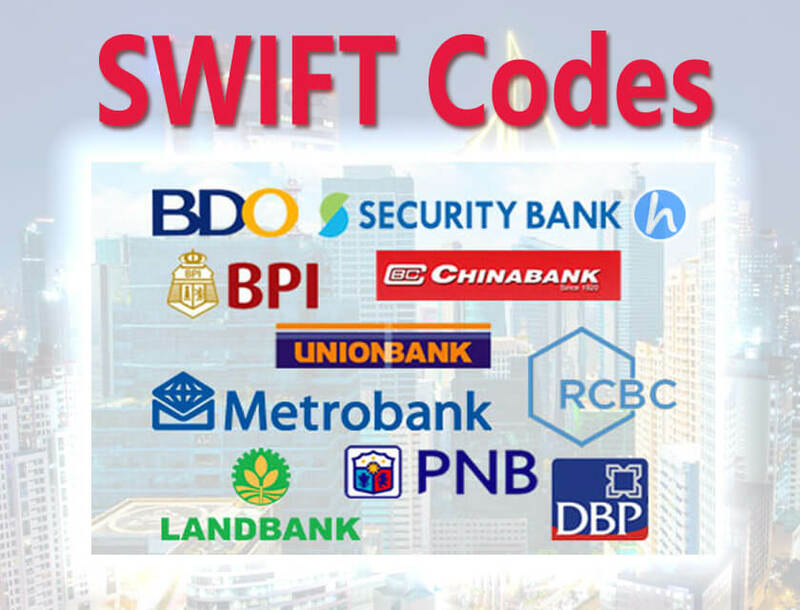 The SWIFT (Society for Worldwide Interbank Financial Telecommunication) codes, also known as BIC (Bank Identifier Code) are mostly used in Wire Transfer transaction where bank from other countries require you to provide these 8-11 digit codes of the receiving bank here in the Philippines. If you are transferring money overseas, you need to fill in the unique code of recipient’s bank in order to do a wire fund transfer. The SWIFT code consists of bank code, country code, location code and lastly the branch code. Example, the “BNORPHMM” is for Banco De Oro (BDO) Unibank. These complete list of codes will identify the information of the banks where the transferred money is send and received. For the Philippines, the most popular banks are BDO, BPI, Metrobank, PNB, Land Bank, Security Bank, Union Bank, Chinabank and more. Note: You can always visit your nearest bank branch to verify all the listed SWIFT codes.